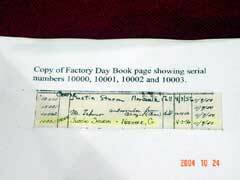 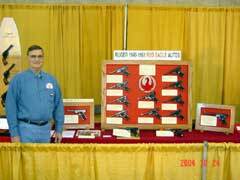 John displayed one of the finest group of No. 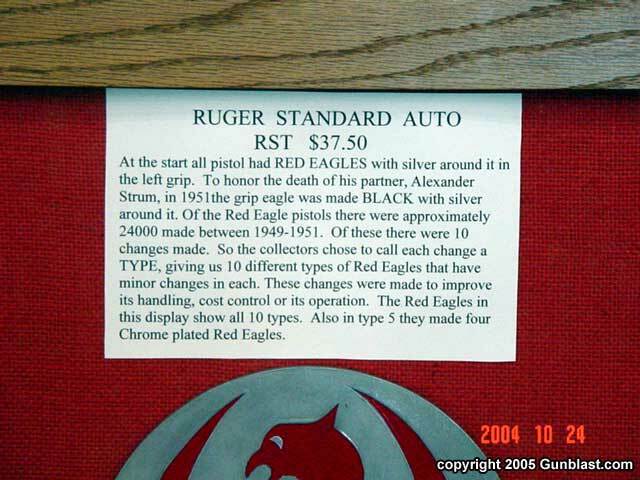 1 rifles in the country. 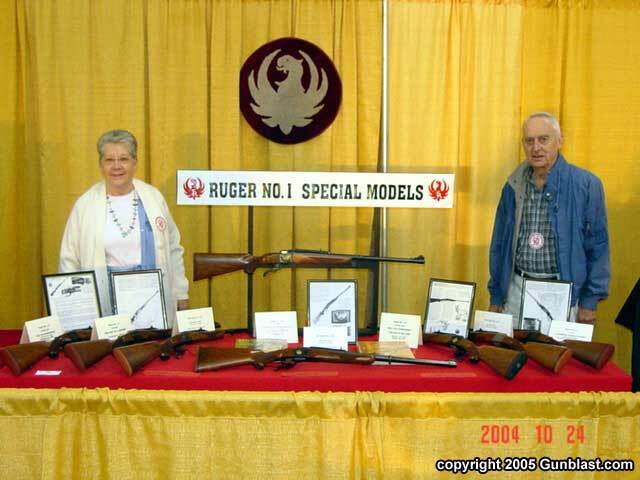 Eight rifles displayed included the engraved and embellished NRA special issues “125th Anniv.” And “Hunt of a Lifetime”, RCAs 10th Anniv., Safari Club, California Highway Patrol, and three other master engraved and gold inlayed No. 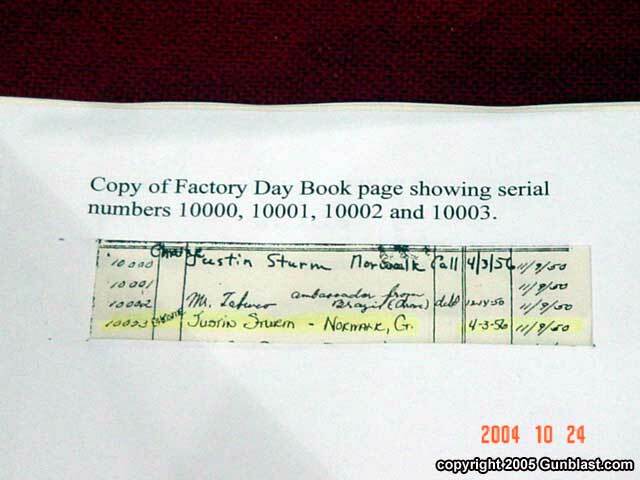 1s. 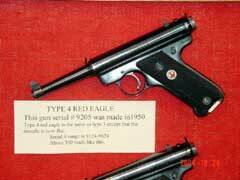 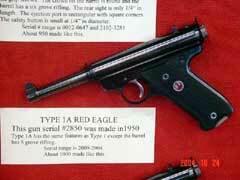 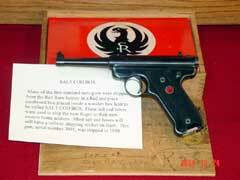 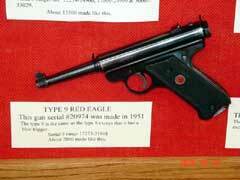 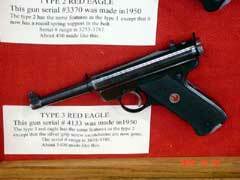 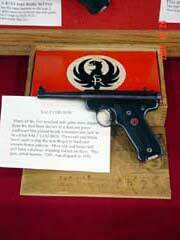 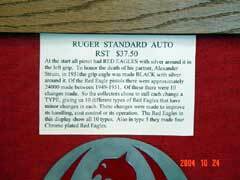 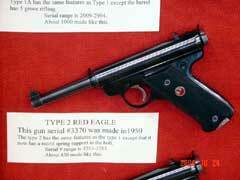 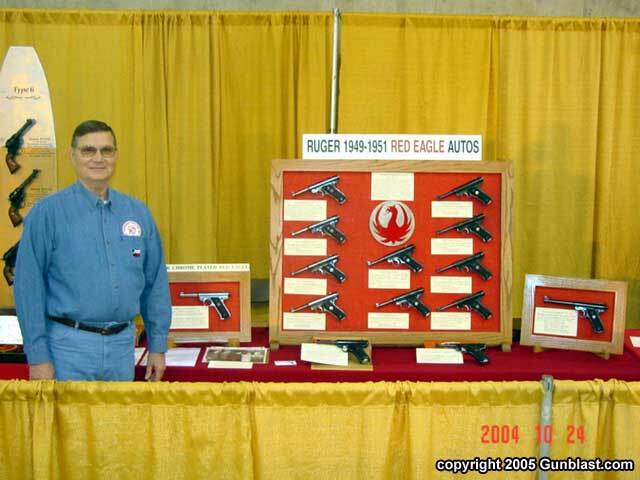 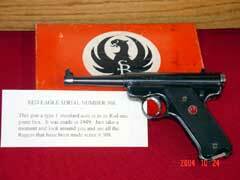 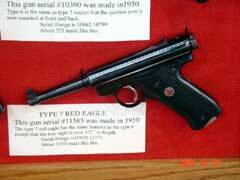 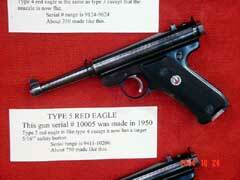 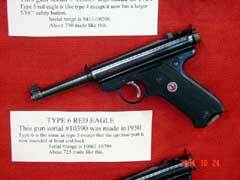 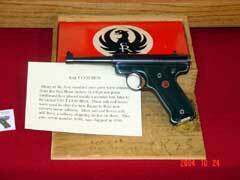 Bob’s great display had all ten types of the Red Eagle pistols. 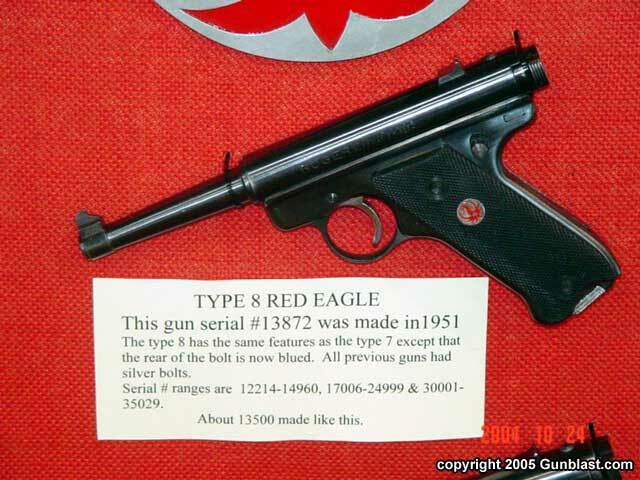 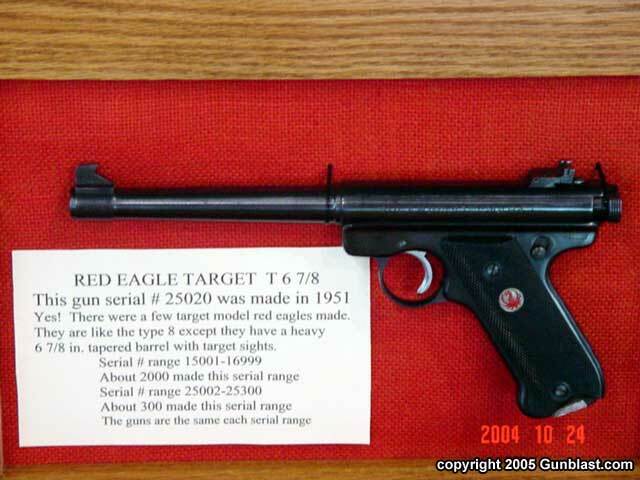 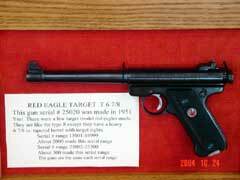 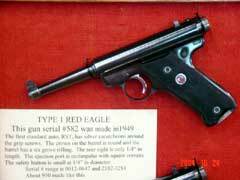 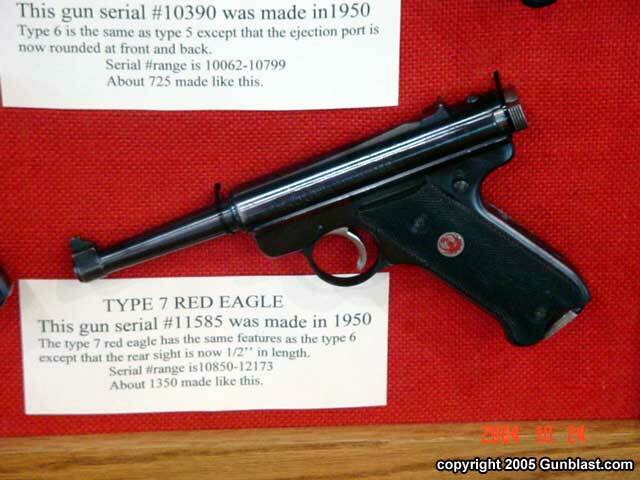 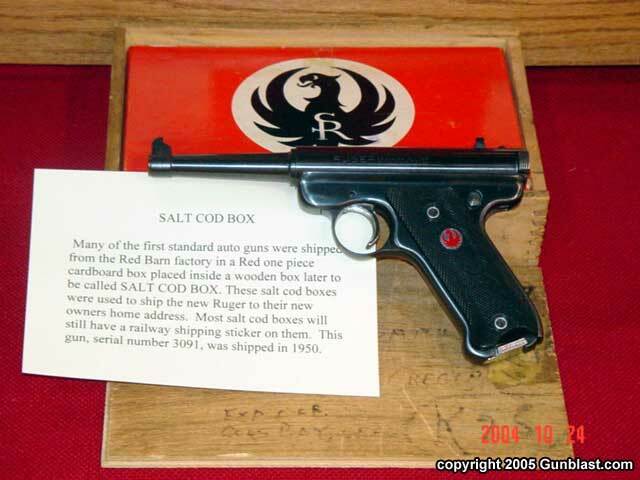 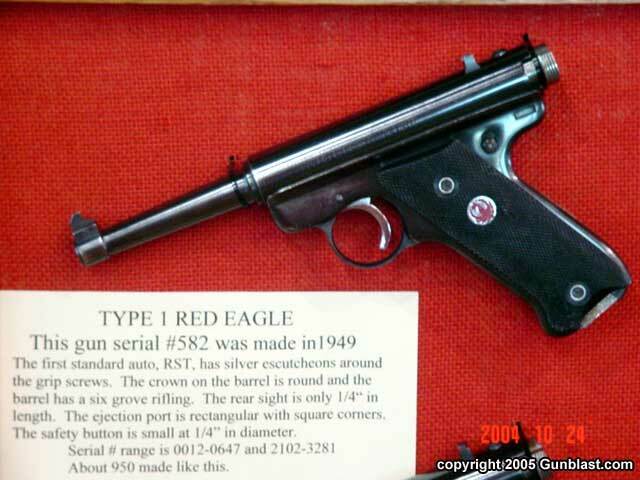 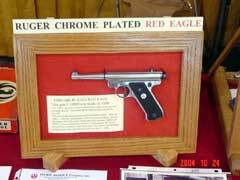 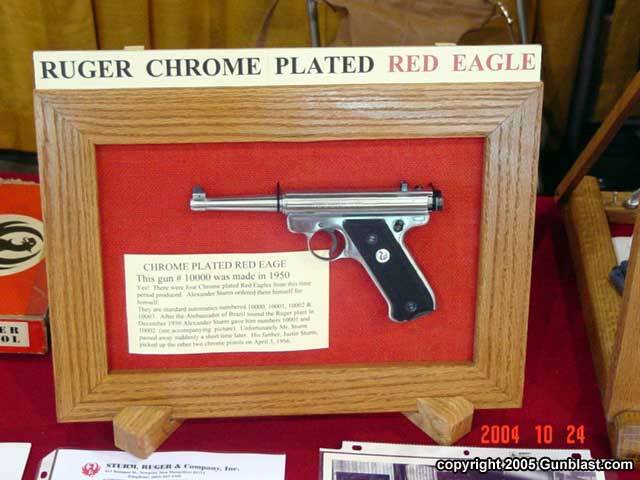 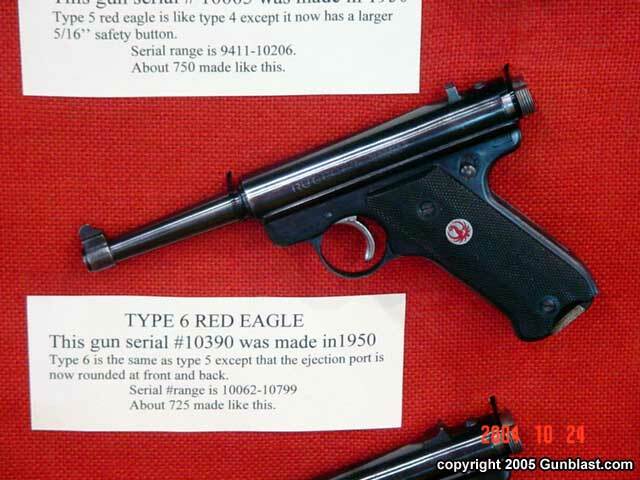 Also displayed was the extremely rare #10000 Chrome plated Red Eagle, a pre-production gun, a model that was never produced, and # 25020 Target Red Eagle. 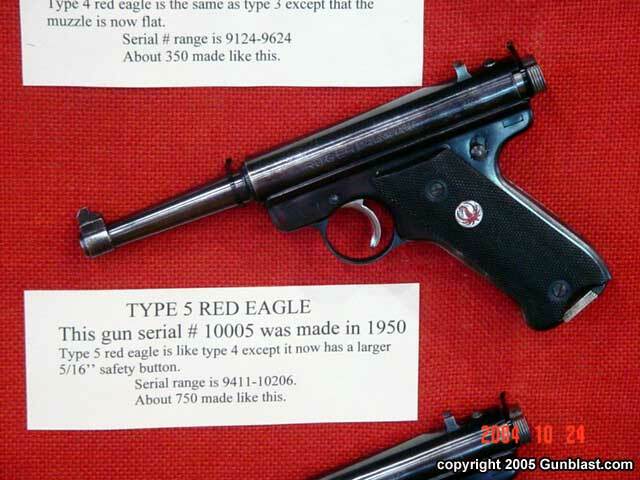 Each Type, the Type 1, 1A, 2 – 9 all have a change or changes that make it a different variation. Several of these variations are very hard to find and downright rare…especially in the minty condition of the guns displayed.